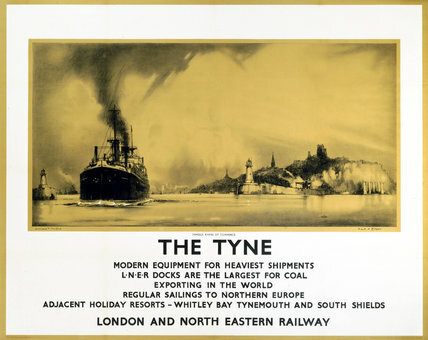 Poster produced for London & North Eastern Railway (LNER) to promote the company's docks and freight shipping services. Artwork by Frank Mason (1876-1965), who was educated at HMS Conway and spent time at sea. He painted marine and coastal subjects. In addition to designing railway posters, he was also involved in engineering and shipbuilding in Leeds and Hartlepool.